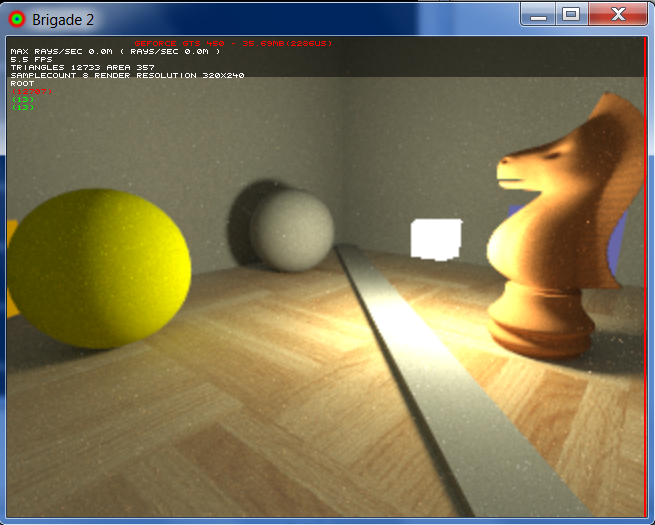 This latest version of the Brigade path tracer contains at least two major improvements compared to previous versions: multiple importance sampling and a Blinn shader for glossy materials (e.g. 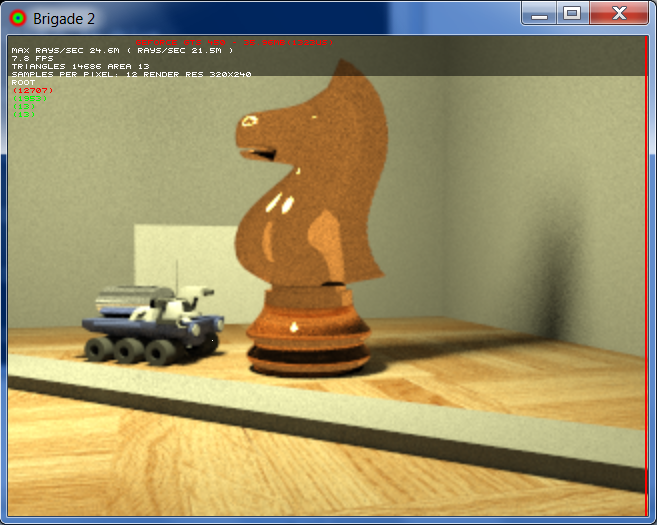 the floor) which greatly enhances the realism of the scene (and seems to converge very fast). 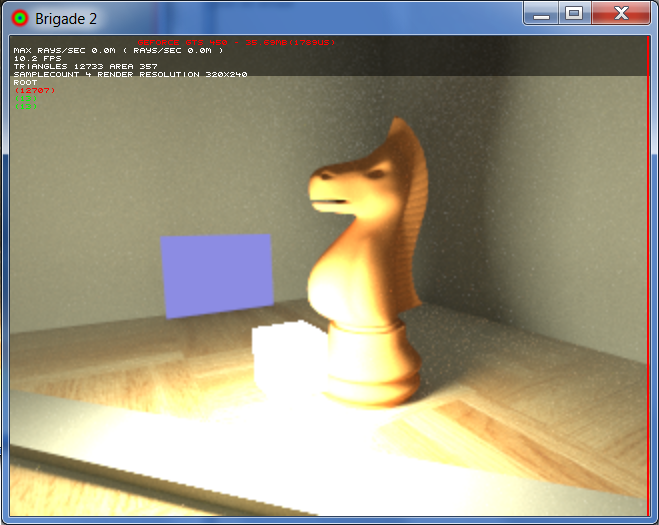 The kernel now runs on the GPU only. 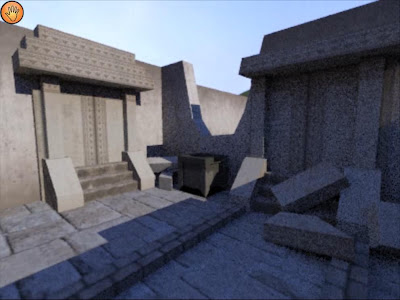 Very impressive what they have achieved so far. 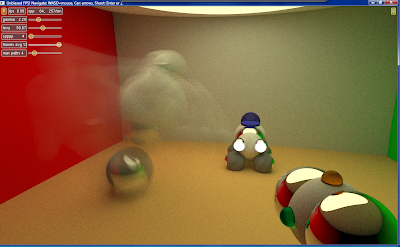 With an extra GPU, the noise should almost vanish and become imperceptible after playing a while. And with Nvidia's Kepler and AMD's compute-focused GCN (HD7000) on the horizon, this path tracer is going to become very interesting (when the code will be ported to OpenCL in AMD's case). 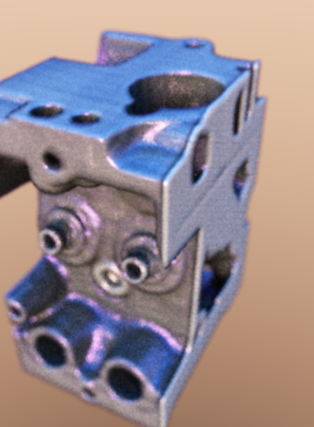 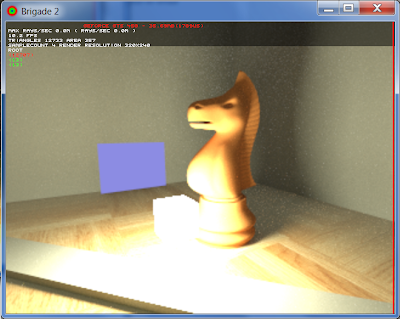 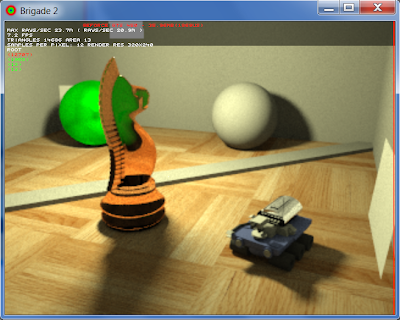 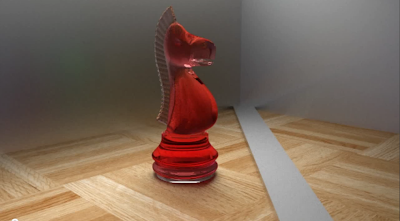 Something like real-time photorealistic chess rendered on the GPU is very close now. 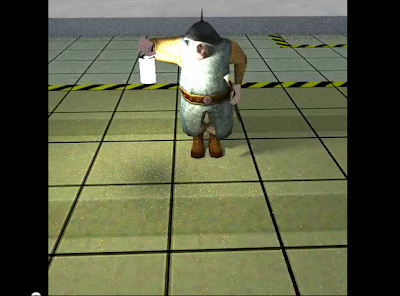 Jacco also mentions in the comments under the video that a new game is in the works with support for animated objects (including skeletal animation). I can't wait to get my hands dirty and experiment with the new Brigade code. 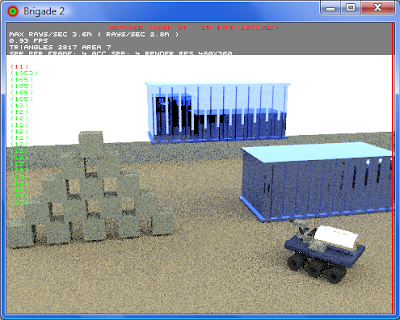 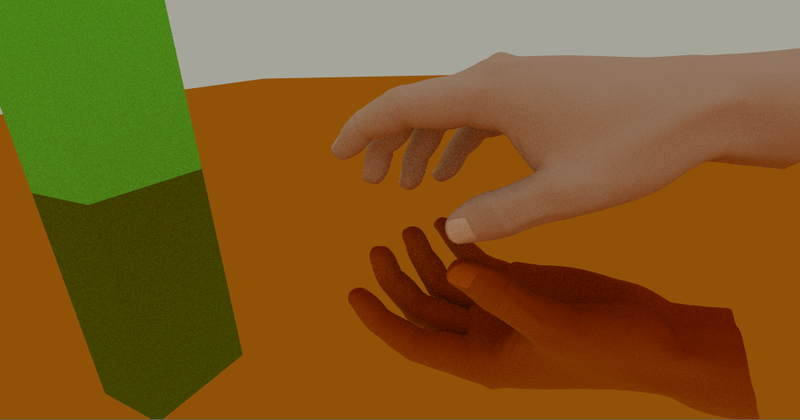 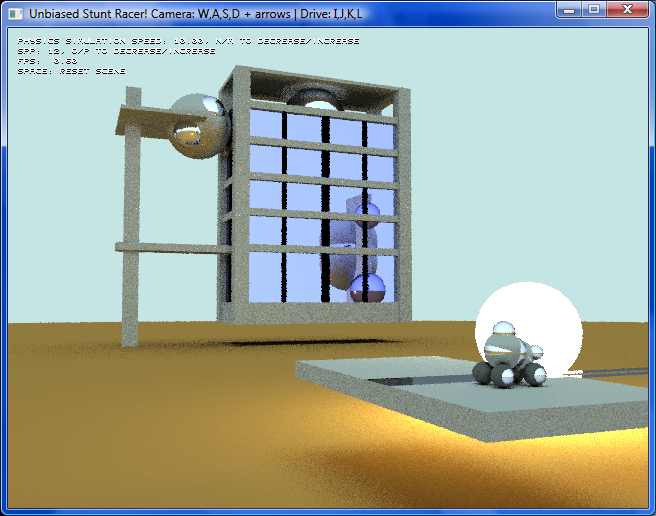 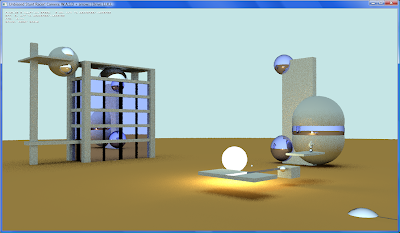 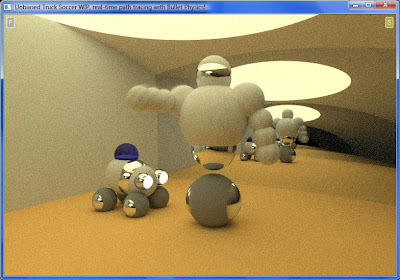 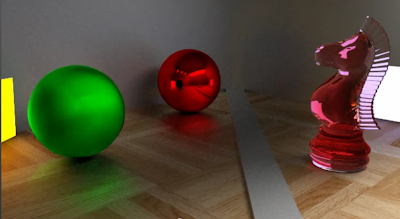 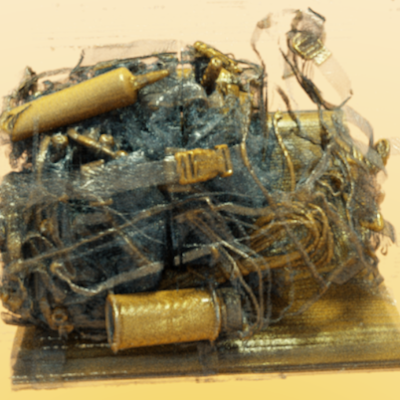 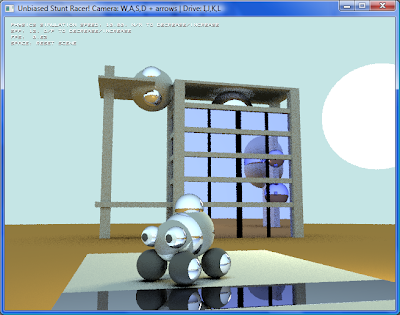 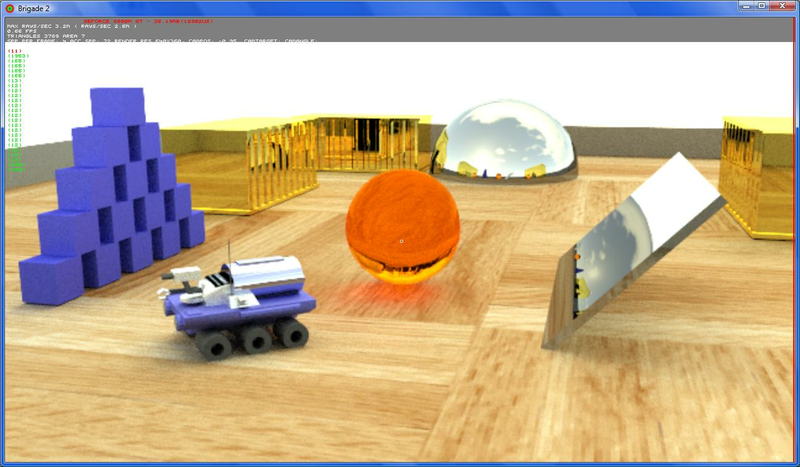 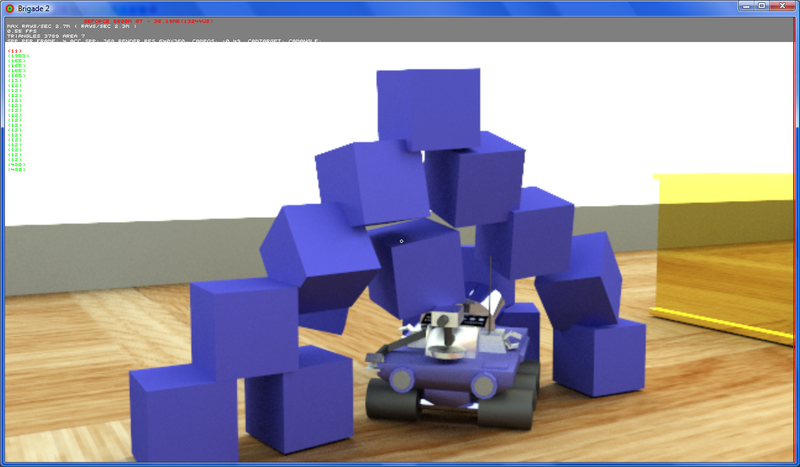 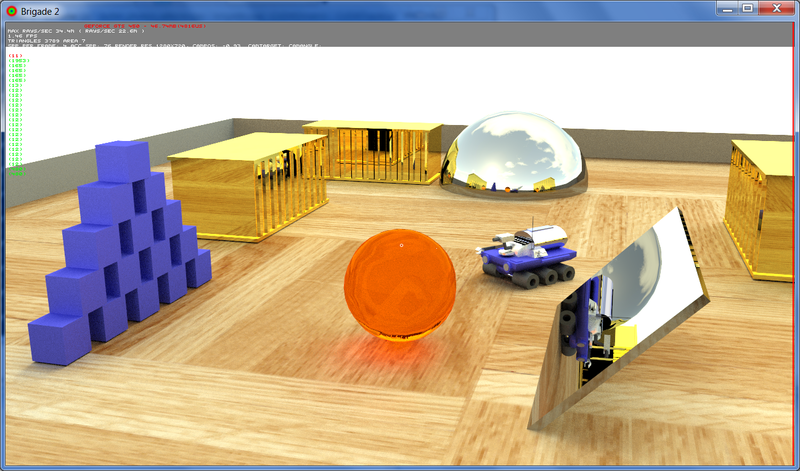 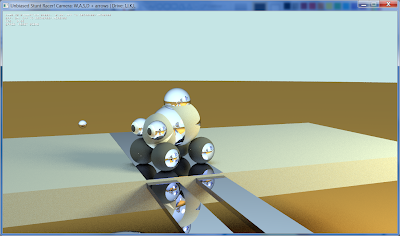 A paper about the out-of-core GPU ray tracer CentiLeo, entitled "Out-of-core GPU ray tracing of complex scenes" is available at ACM here: http://dl.acm.org/citation.cfm?id=2037826.2037854 (behind a paywall). 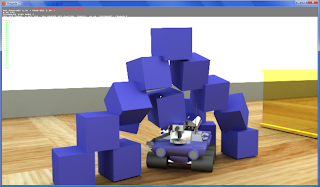 If you don't have an ACM subscription, you can still read a free version of the paper by downloading the file "Supplemental files" under the tab "Source Materials" on the same page. 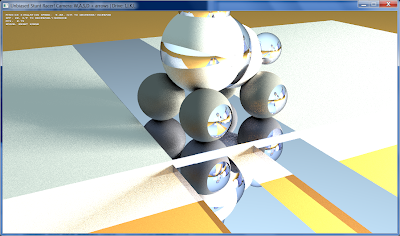 The paper contains an interesting analysis of the overhead of the out-of-core GPU ray tracing algorithm compared to the in-core Aila/Laine GPU ray tracing algorithm. 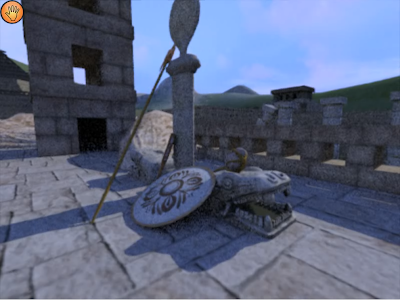 Details about the scene and system used are in the video description (average rendertime 2.5 min at 720p HD resolution with only 1 GTX580). 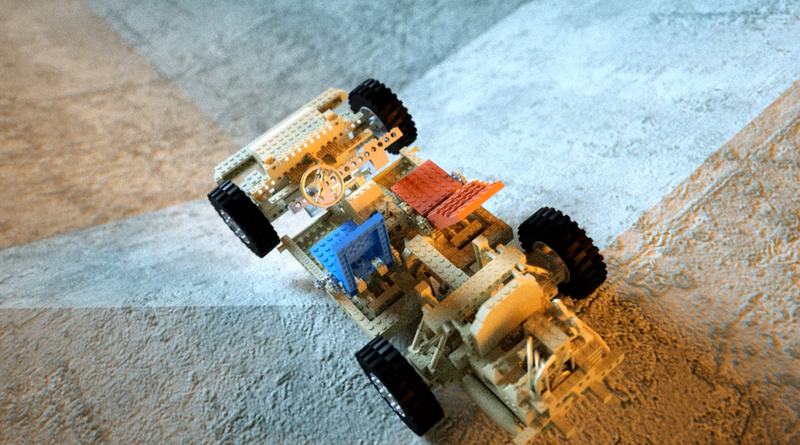 Besides the fact that it looks so unbelievably real, the most interesting part about this animation is that it was rendered from within 3ds Max, using an in-development plug-in version of Octane Render that is completely integrated with the Max software. 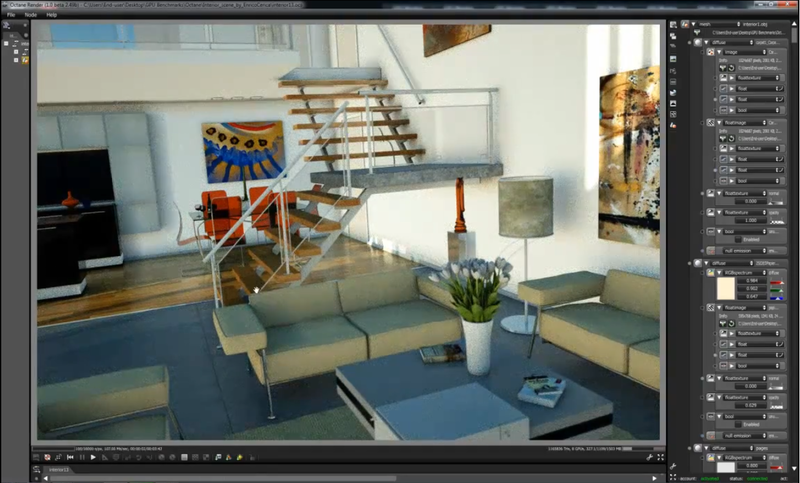 This will enable users to edit, move, add and delete geometry and lights in the scene and see the results instantly rendered in the viewport with Octane Render's photorealistic quality. 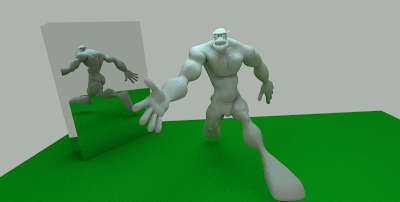 It also eliminates the lengthy per-frame export times (in some cases longer than the actual rendertime of the frame itself) which will do wonders for animation rendering. I think this integration is going to become Octane's new killer feature which will take insanely fast photorealistic rendering on the GPU to the next level. Lots of interesting insights in the future of GPU hardware. 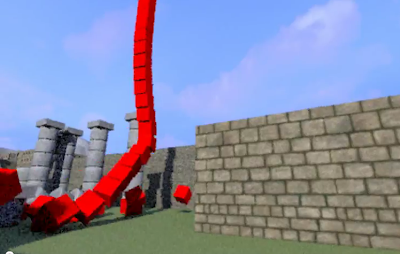 Video of Unbiased FPS + a new video of Brigade! The video shows very nice soft shadows and path traced ambient light coming from the skydome (calculated in real-time contrary to the constant ambient term which is used by many games to approximate indirect lighting). 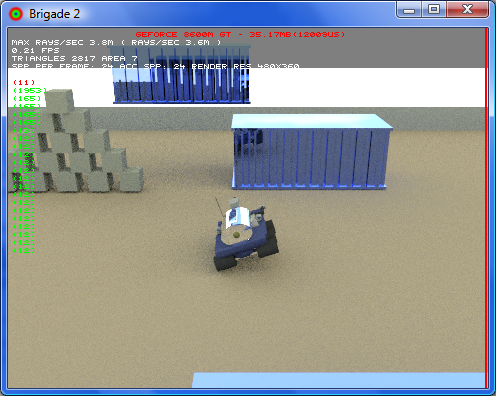 There are no acceleration structures used (not even a bounding box around the car or the robot). 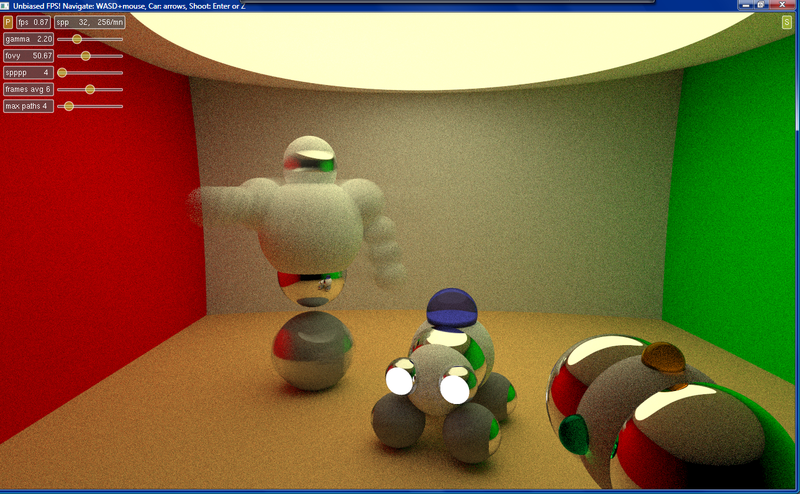 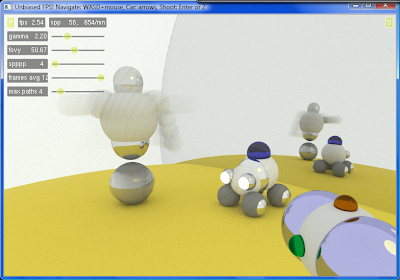 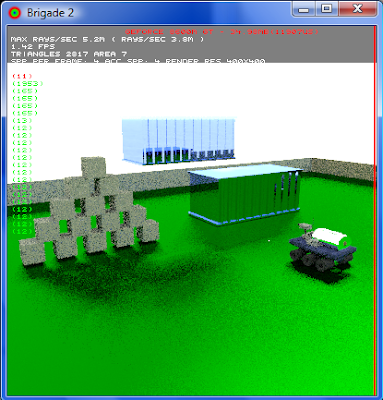 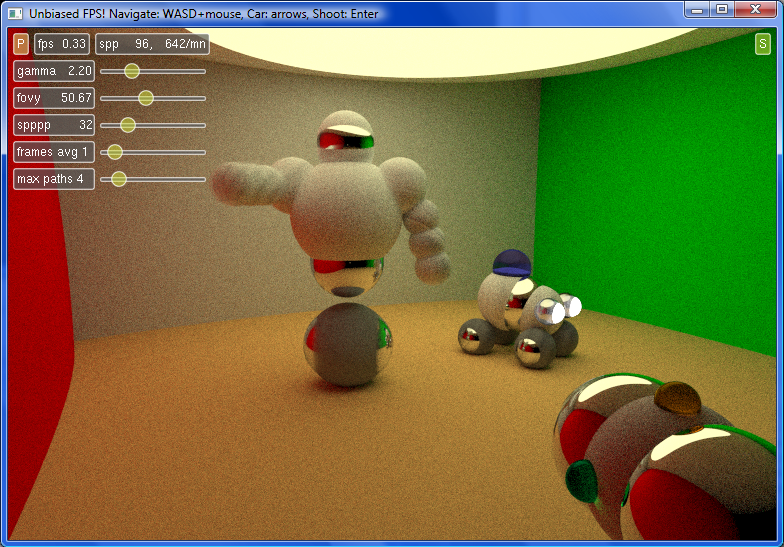 Implementing those should give a nice ray tracing performance boost. 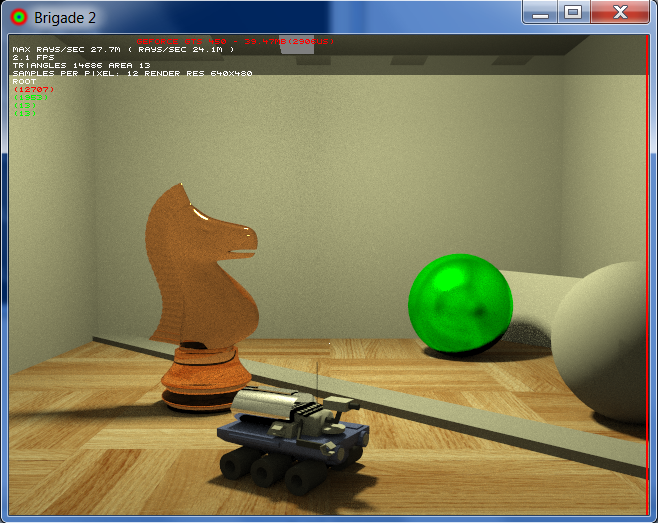 It's not hard to imagine that this renderer will be truly real-time with the upcoming generation of GPUs (according to Nvidia, Kepler will be more than twice as fast at path tracing as Fermi, just like Fermi is 2-4x as fast as Tesla (GT200) thanks to caches and other improvements (see http://www.youtube.com/watch?v=0IC2NIogWR4) and AMD's Graphics Core Next will be much more focused on GPGPU computing than previous architectures). 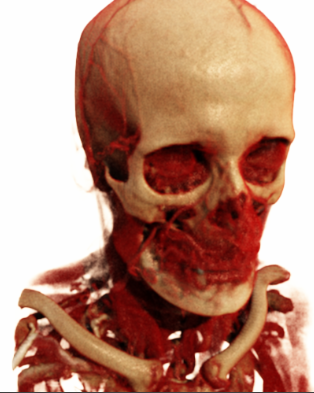 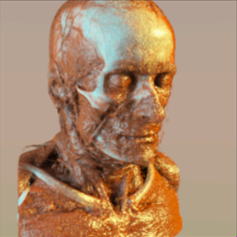 These graphics can be rendered noise-free in real-time at high resolution with techniques like adaptive sampling, image reconstruction, compressed sensing (a hot topic in medical imaging currently), edge-aware filtering of indirect lighting (e.g. 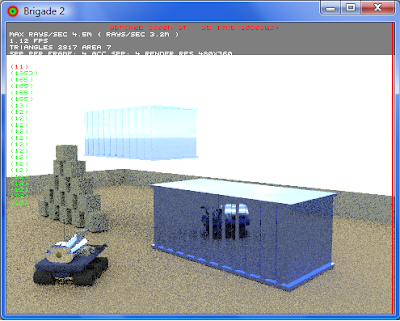 the a-trous wavelet noise filter), extraction of spatiotemporal coherence with reprojection, path regeneration, reusing samples with frame averaging and frameless rendering. Rendering complex, 100% photorealistic scenes in real-time is much closer than commonly believed and cloud rendering will play a key role in accelerating this process. Unbiased Stunt Racer in HD! 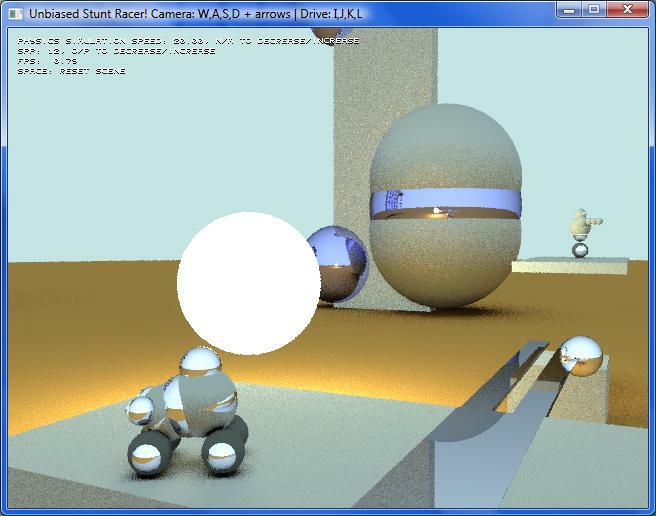 I've changed the 'Unbiased Stunt Racer' demo a little bit: I've added the buildings from my Futuristic Buildings demo to the scene and also added a function to adjust the speed of the physics simulation at runtime with the N and M keys. 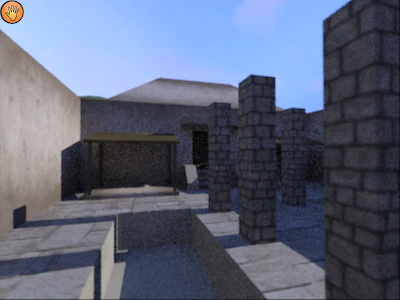 The platform and sphere are also moving at a speed that's independent of the framerate, so the game is still playable on high-end cards like the GTX 480 and higher. 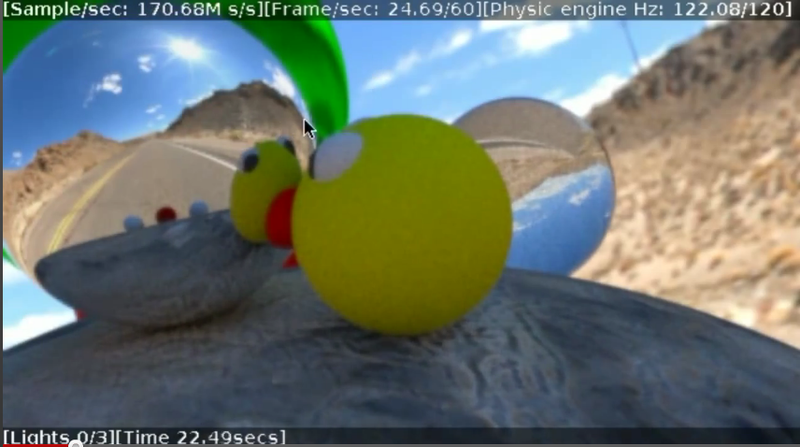 The new executable contains 480p and 720p executables. 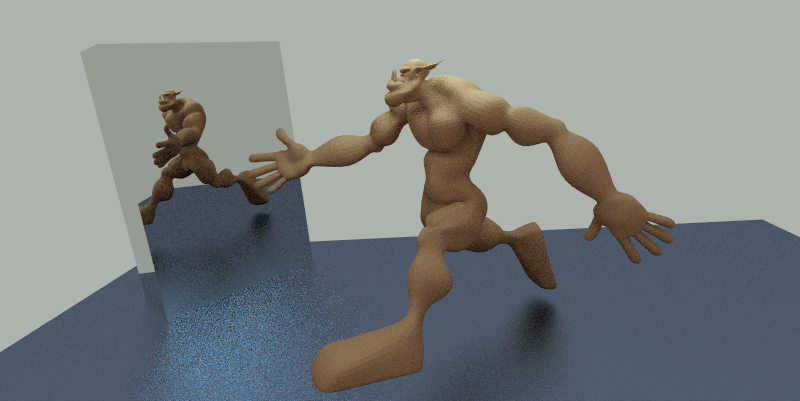 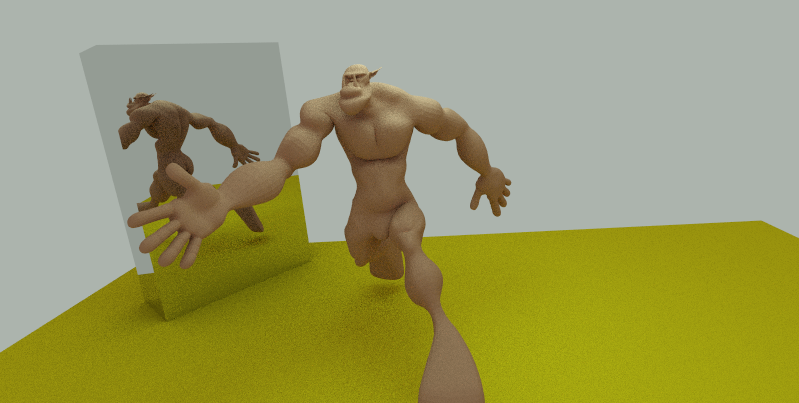 I find it mindblowing that real-time path tracing is feasable today at HD resolutions using only one GPU. This will be one of my last demos involving only spheres and boxes as primitives. The limitations on the number of objects and shapes are starting to outweigh the benefits of these cheap-to-intersect primitives, so I'm moving to the wonderful world of triangles and BVHs soon. 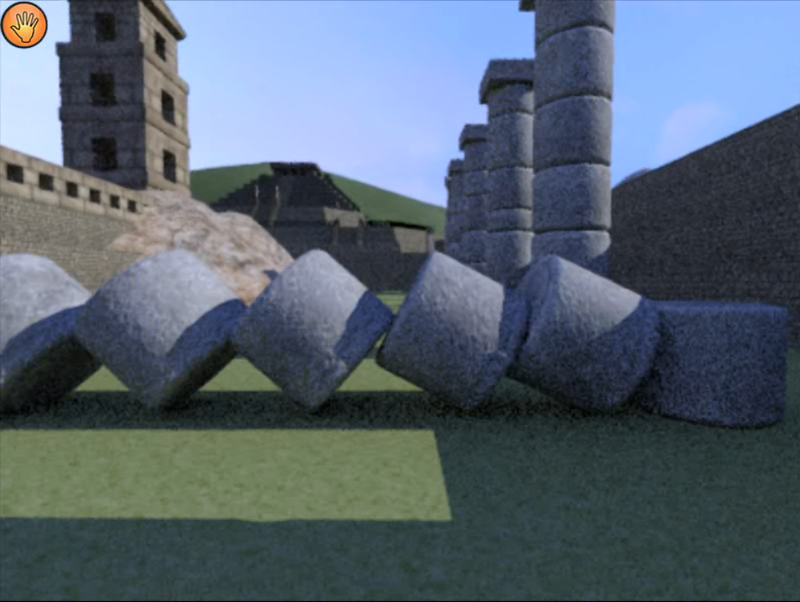 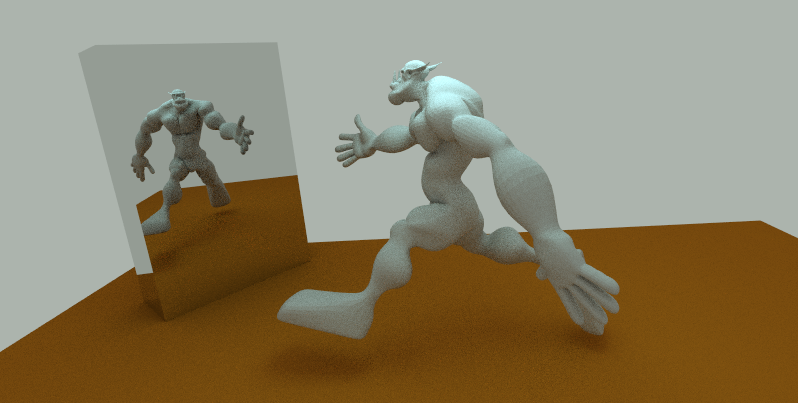 There is also a new paper and video on reducing Monte Carlo rendering noise called "Random parameter filtering" with amazing results (thanks to ompf.org forum): http://agl.unm.edu/rpf/ The video is definitely worth the download and shows great potential for real-time path tracing.